Item # 313167 Stash Points: 5,495 (?) This is the number of points you get in The Zumiez Stash for purchasing this item. Stash points are redeemable for exclusive rewards only available to Zumiez Stash members. To redeem your points check out the rewards catalog on thestash.zumiez.com. 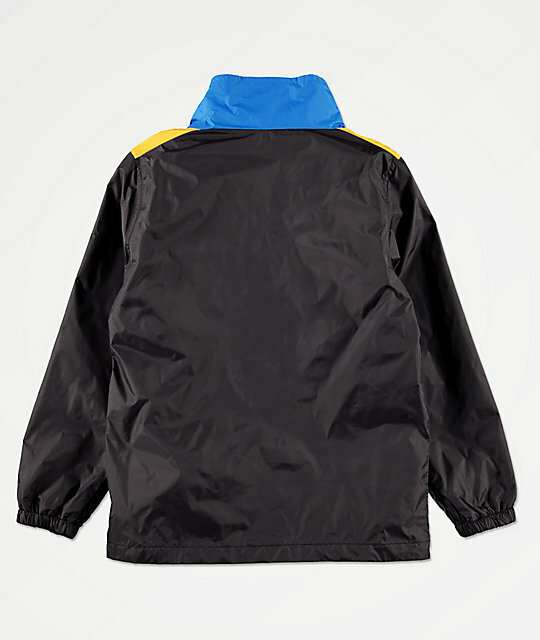 Give your little one stylish weather-resistance in the American Stitch Boys Color Block Anorak Windbreaker Jacket. Featuring a quarter-zip closure and a high necked collar, this jacket offers an extremely fashionable silhouette. Most prominently highlighted by a blue, yellow, orange and black colorway in classic color block style, this jacket is a must have. 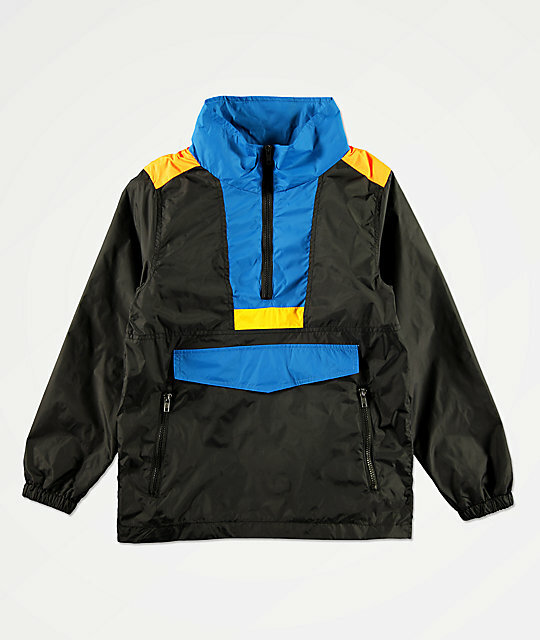 Boys Color Block Anorak Windbreaker Jacket from Salty Crew. Blue, yellow, orange and black color blocked construction. Faux abdomen pocket with hook and loop closure. Two front hand pockets with zip closure.